← Bike rack … ? 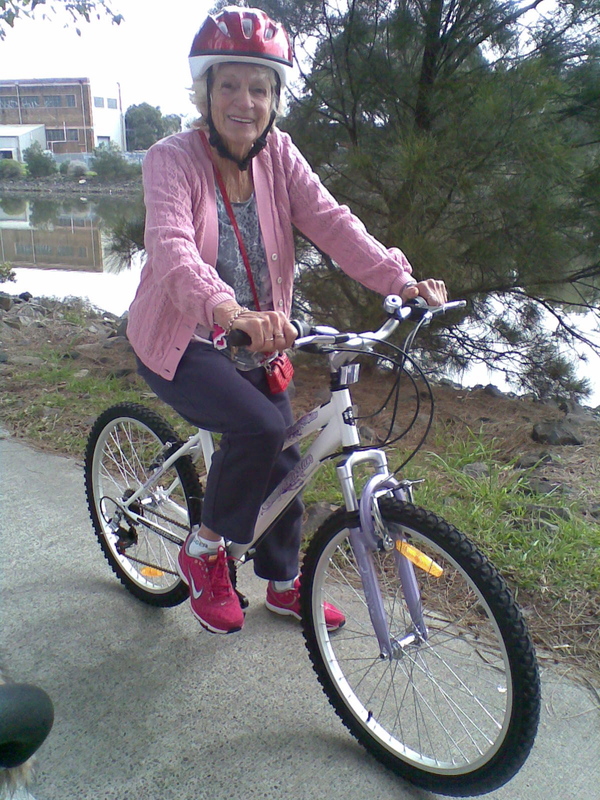 She told me she is 78, and was a bit wobbly when she first got onto it but now loves riding her new bike! This entry was posted in Bike Lanes and tagged women on bikes. Bookmark the permalink. 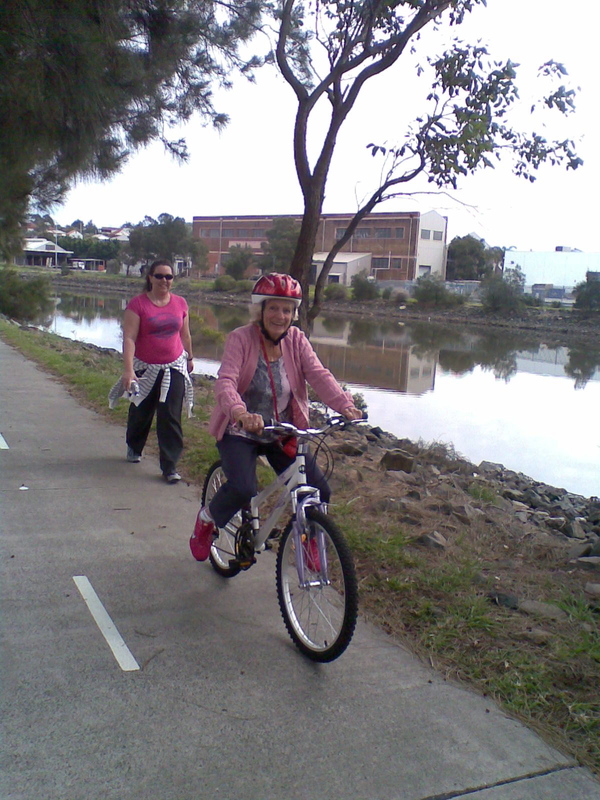 there is another lady who I see riding along throsby creek every morning on her way to work at that Joy Cummings center near cafe 2300. I wouldn’t call her “elderly”. Past half way, might be a softer description. Anyway, she is a stalwart. And very cute, as all women on bikes are to my eye. If you see her, do ask her to stop for a photo. I would, but I am too shy. Deos that lady have a purple bike? If so, I have a pic of her, she pushed her bike to the top of the hill in Islington park and rode down it just because she said that riding down hills is fun! I hav a pic of her from behind as she is going down.